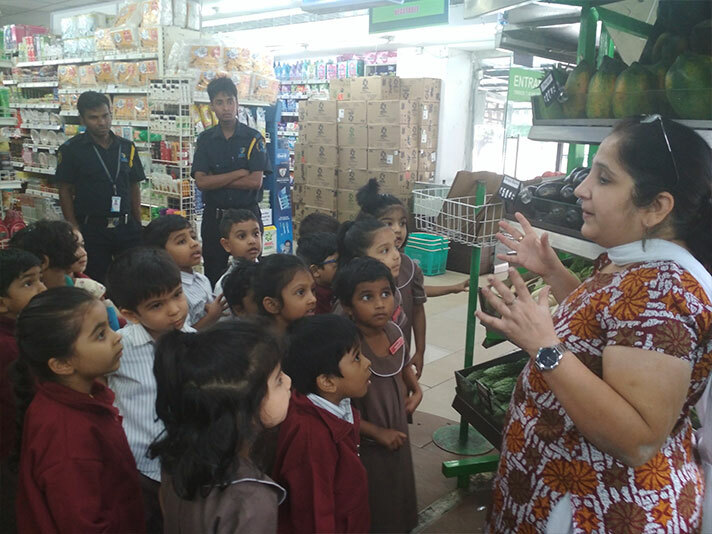 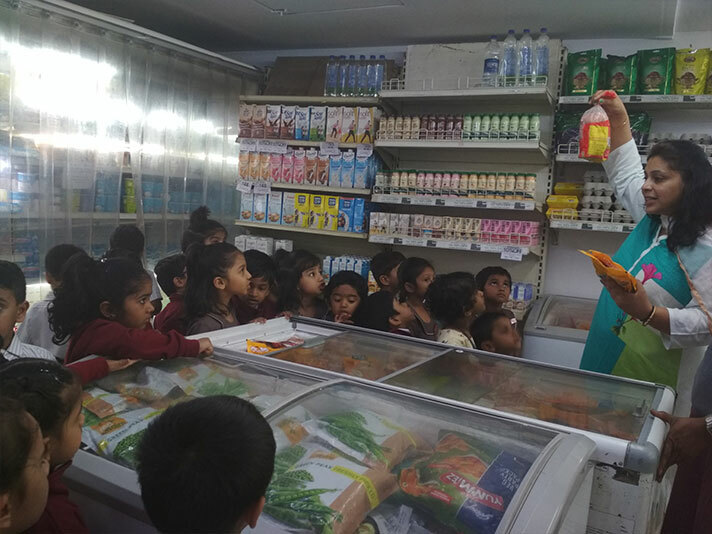 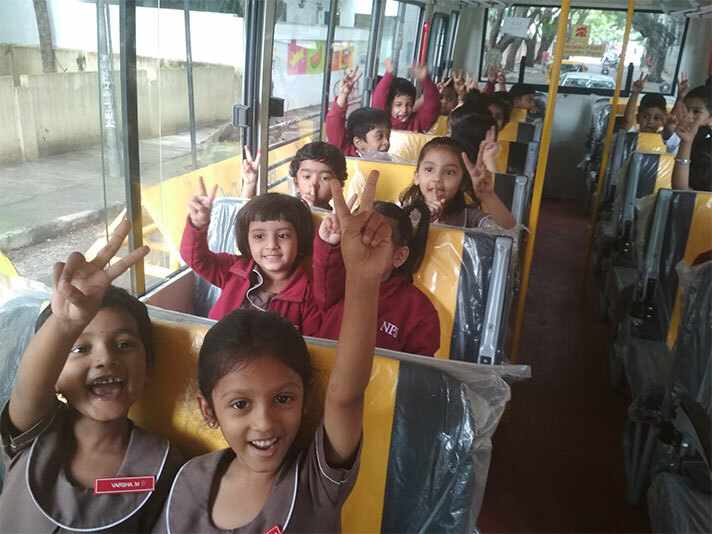 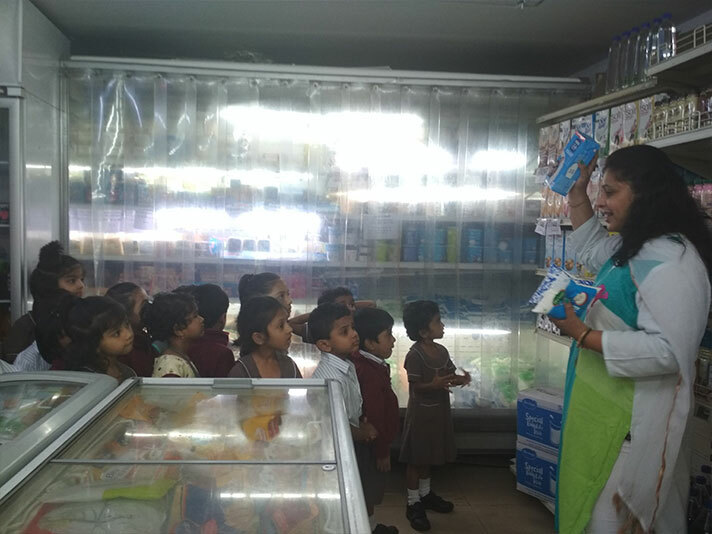 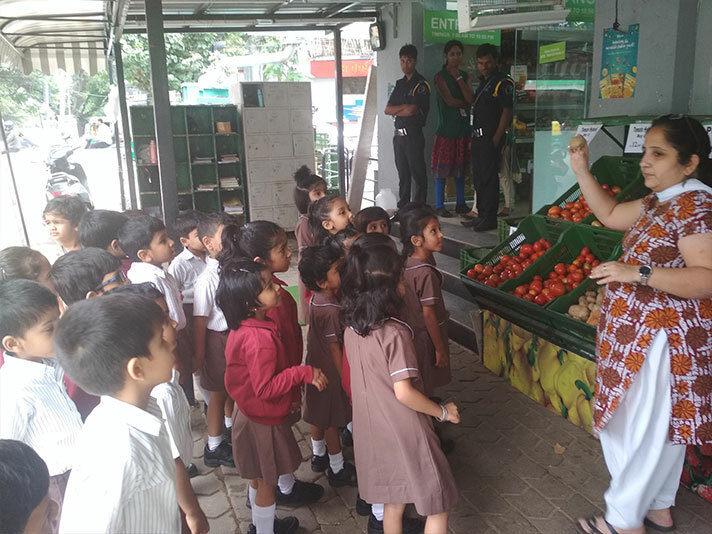 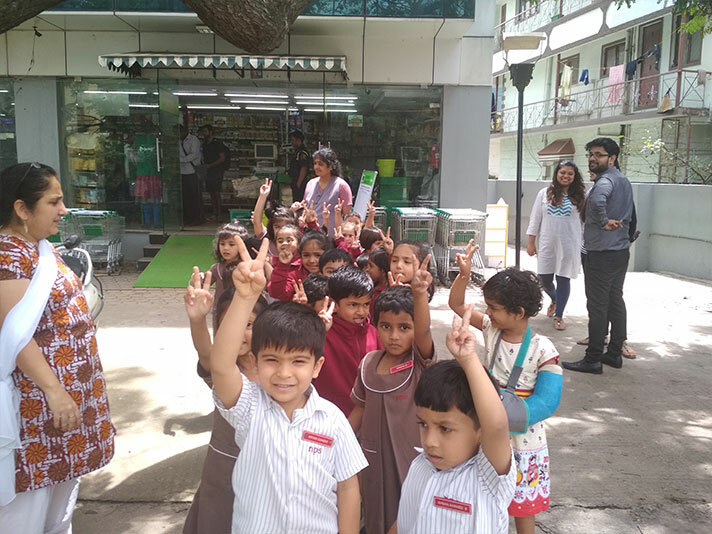 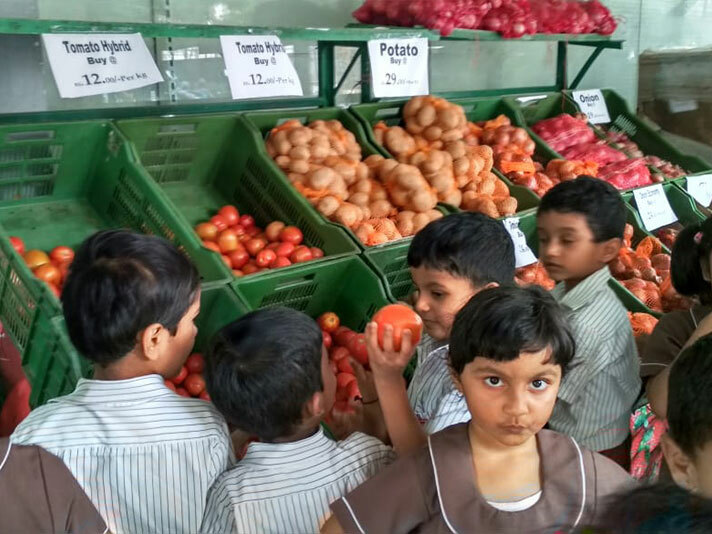 A field trip to Nilgiris Supermarket was organized for the students of Kindergarten 1 as a part of the EVS curriculum on 31st August 2018. 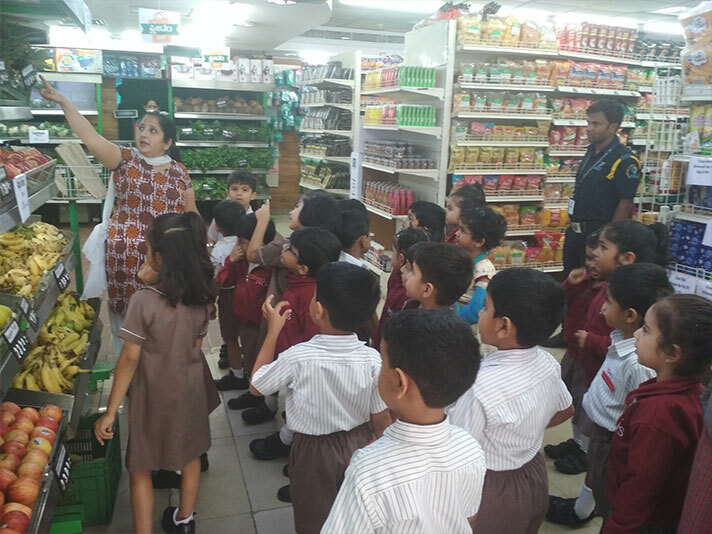 The students were excited to explore the Supermarket. 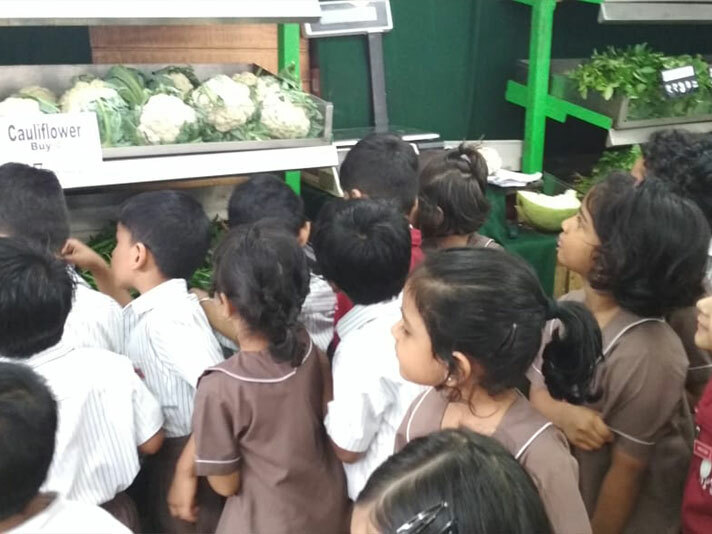 Students had the opportunity to feel the textures of various fruits. 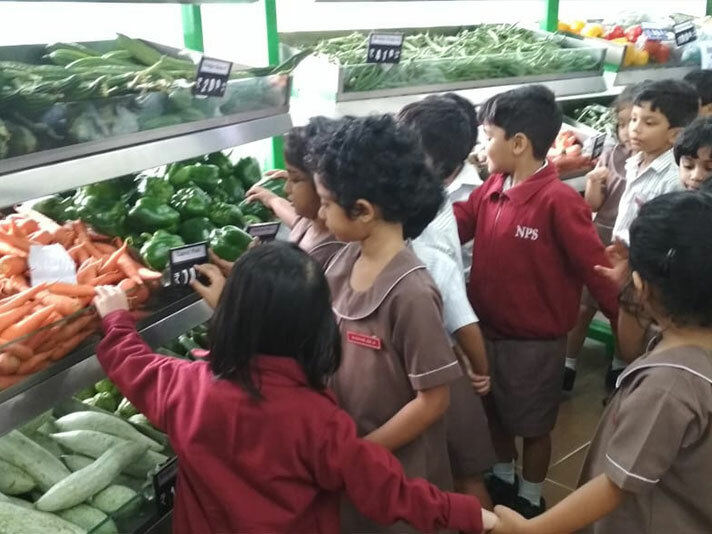 They categorized the vegetables as root and leafy vegetables. 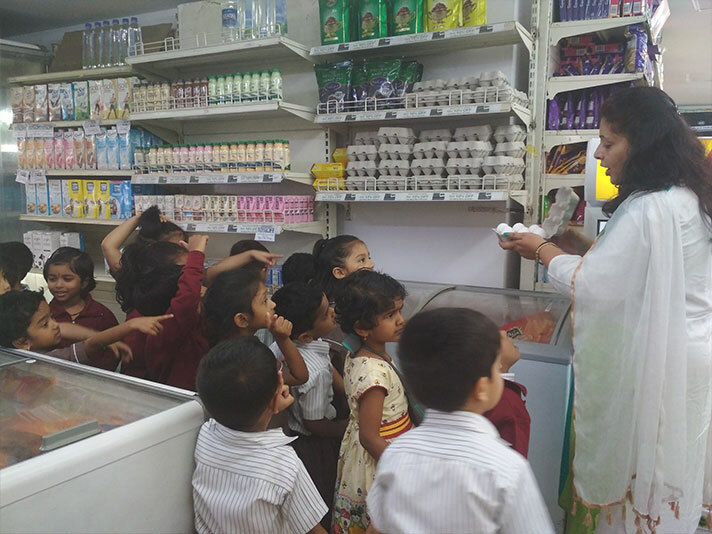 The students had a fun time guessing the names of various dairy products and food grains. 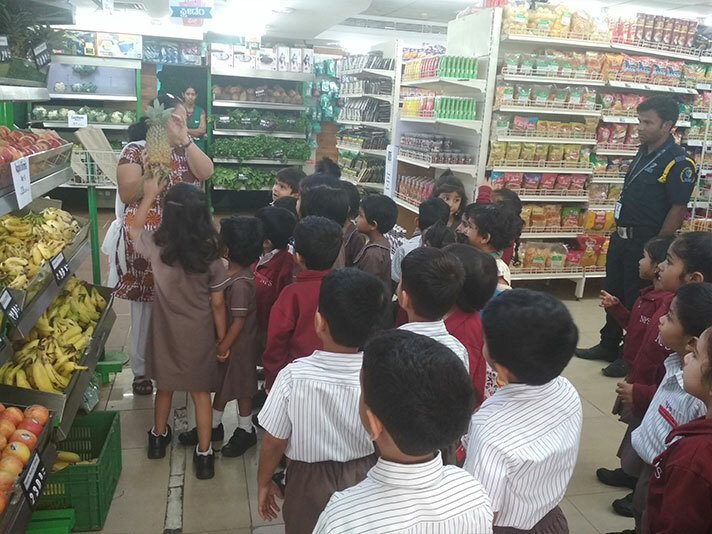 It was an enriching experience for the students to find various food products in the different food sections of the Supermarket. 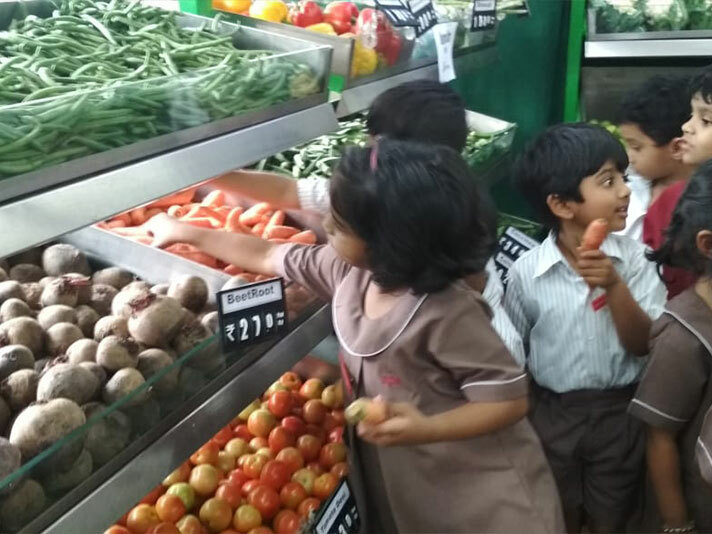 Their first trip to Nilgiris Supermarket was a memorable experience.